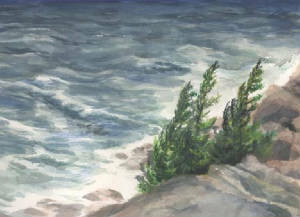 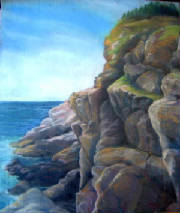 Maine Art, creating Maine Art, is a joy. 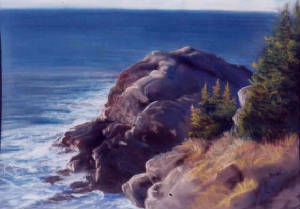 The Maine coast is one of the most beautiful, powerful, and healing places in the world. 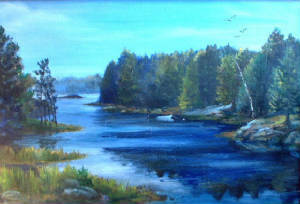 Painting it's scenery is always a richly satisfying experience. 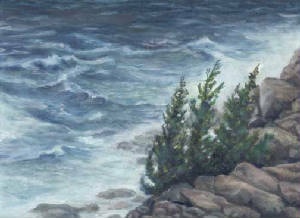 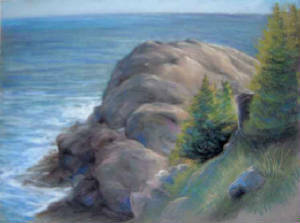 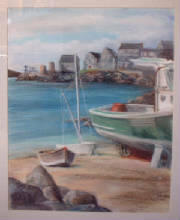 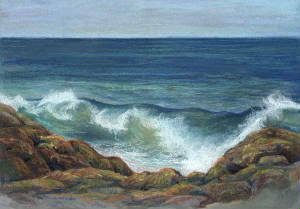 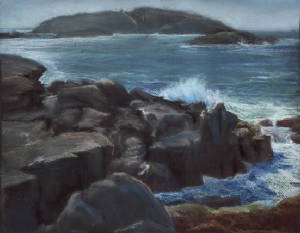 Matted Pastel 23" x 25"
I did the original Pastel of "3 Sisters Sentinal" during a heavy storm on the island of Monhegan, Maine. 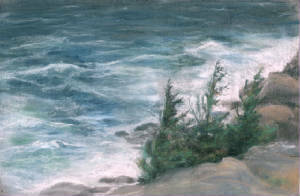 I liked the painting so much that I painted 9"x12" versions in both Watercolors and Oils... 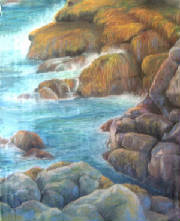 I like all three versions and think they demonstrate my use of the three mediums in an interesting way. 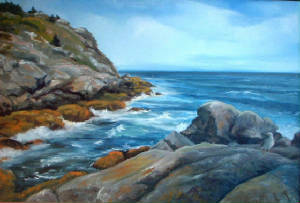 Framed Oil 24" x 36"
...for me, of all the shorelines in Maine, Monhegan Island is a particuarly special place. 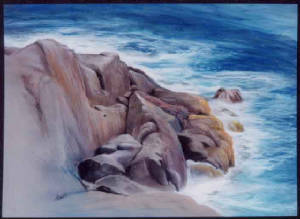 With it's wonderful Granite headlands and deep sea combers, it is a place that the heart remembers long after the ferry home. 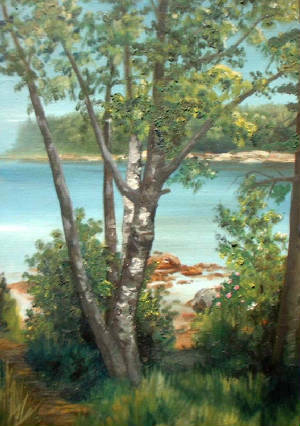 Unframed Oil 15" x 30"